Today I went to my local decathlon with my mum after a trip there yesterday on my own. I found a £35 deal for a tent, sleeping bag and mattress. As you should know I am lucky enough to be working at V Festival this year so I needed one. I've never been into camping as I need my shower, fresh water and a clean toilet. But I am going to bite the bullet and go to my first camping festival and enjoy it. 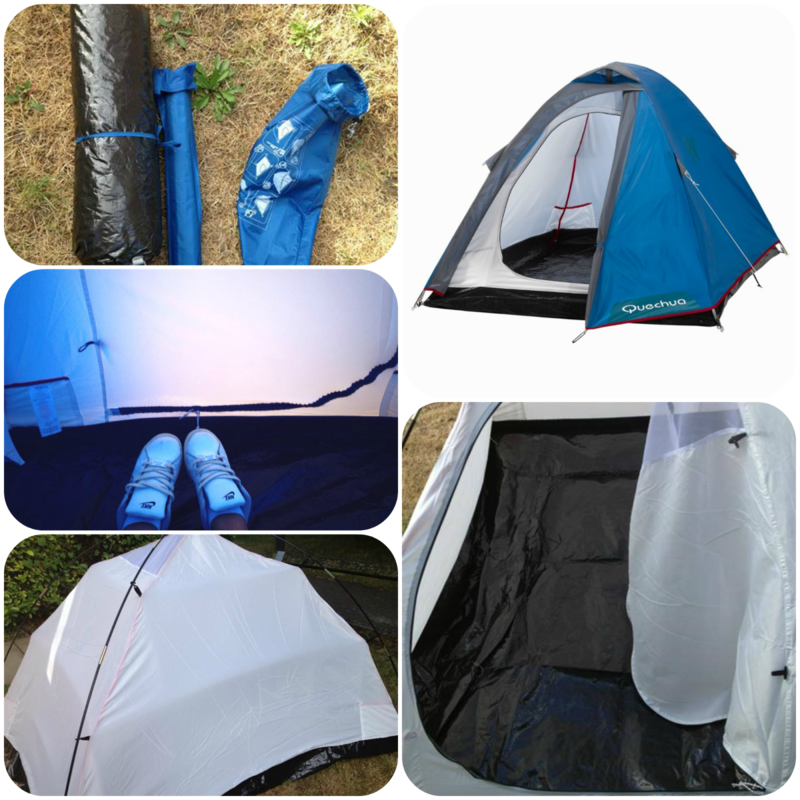 You can buy the tent from the website HERE for £24.99 (Price in store £29.99) outside of the £35 deal. As you can see I decided to have my own little test run and try it out today and make sure I can put it up alone. Today wasn't the best day to try it because it is so damn windy in London right now! It is super easy to put up and pretty easy to put back down. The only problem when putting it down is the fact the bag is only little and air gets in it as you roll it up. At this moment in time I'd 100% recommend it to a friend but I'll write a true review of the tent after V Festival, only problem is I am not taking my good camera to the festival so you will have to deal with iPhone quality pictures.